In this particular section you can find all kinds of beautifully personalised socks and the types of socks you can customise your way as well. High socks (for winter) and low socks (for summer), sports socks and executive socks, different sizes ... Everything! 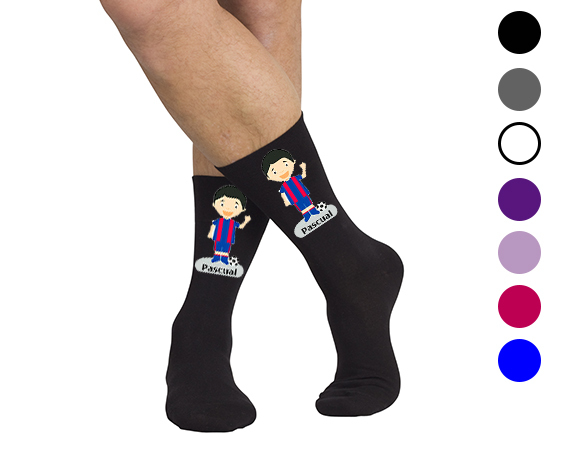 With our custom socks you can make an extraordinary gift, a gift of those that do not leave anyone indifferent.